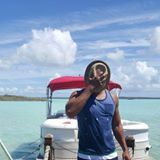 Fill out our quick Credit Application and one of our Representatives will contact you. EVERY WEEK LOG ON AND CHECK OUT OUR NEW DEALS AND FINANCE OFFERS!! If Credit is a concern for you, don't let it be! We work with several lenders on a daily basis and can help you get that much needed car loan today. Stop worrying about how you will buy your next vehicle and let us do all the work for you! Come sit with one of our client specialist that will ensure you are making the right decision. Whether it be financing or leasing we will sort out what is more beneficial for you and your needs. Dealerships require you to physically stop in to purchase a vehicle. We on the other hand have advanced with the times and allow you to purchase a vehicle at the comfort and convenience of your home. Regardless of your location we will deliver your brand new vehicle to you. 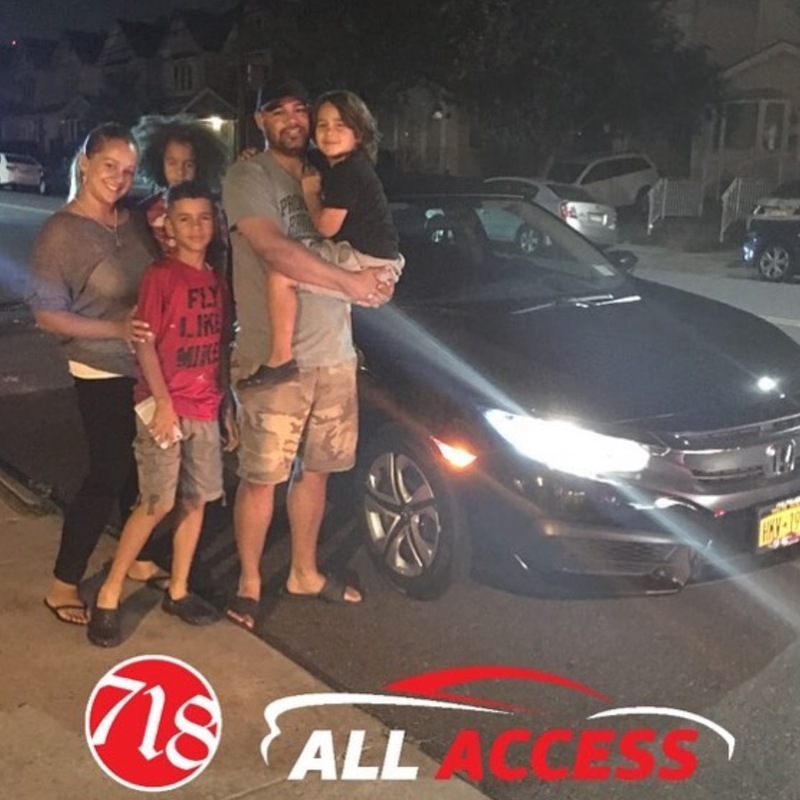 Here at 718 All access we are able to take you out of your current lease early and put you in a brand new vehicle. We also are able to appraise your vehicle and offer you cash value. Never leased or finance a car? Don't think you have the credit? Come in and allow us to qualify you for the first time buyers program. 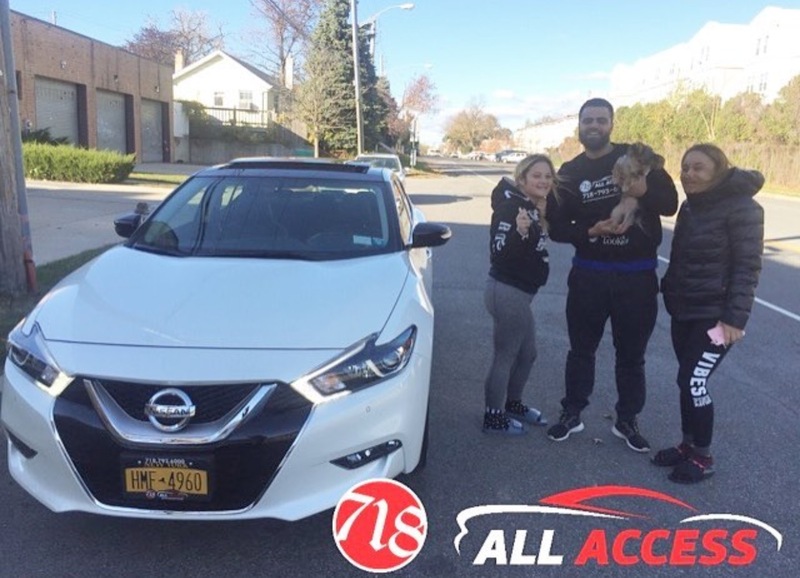 718 All access is proud to be serving the tristate area with locations in both Forest Hills Queens and Inwood Manahttan. We are an established company with a vision to create an unbelievable car buying experience. We understand how time consuming the lease or purchase of a new vehicle can be, so we are designed to make your experience as stress free as possible. We offer extremely aggressive pricing with out all the haggling and shopping around. We are your one stop shop for all your car purchasing needs. We offer an extensive selection of vehicles at amazing prices. Our team takes the time to listen what you are interested in and what your vehicle needs are. We want to ensure you get the car you desire at the price you desirve. 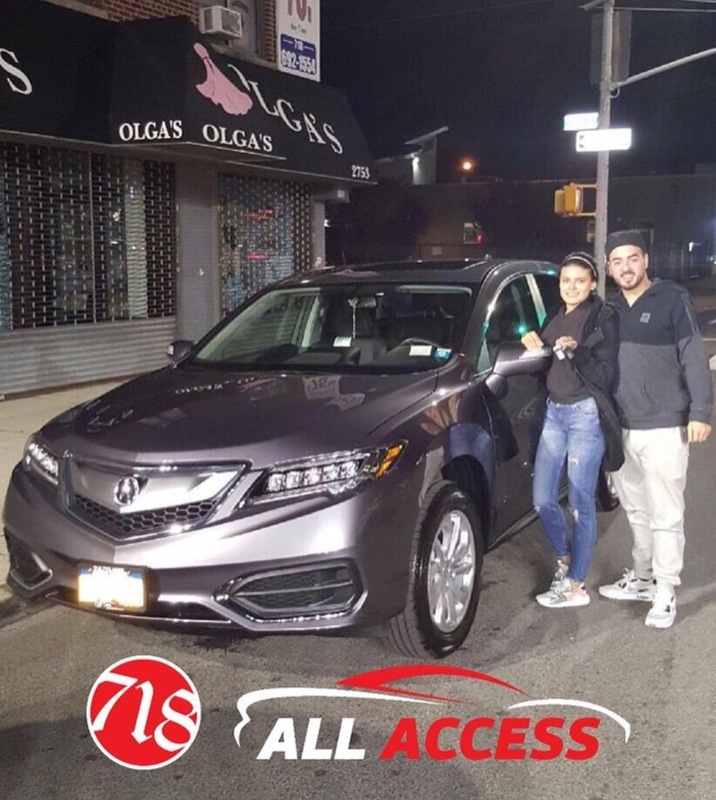 Just stop by any of our 718 All access locations to experience car buying in a different way. My husband and I recently purchased a 2016 Cadillac Escalade and could not be more happier with our conclusion with no obligations from our saleswomen by the name of Sury not only was she so spunky & helpful, but her hospitality was everything we needed to convince us that our decision was correct and it was even delivered to us directly to our house, I mean you can't get better then that. 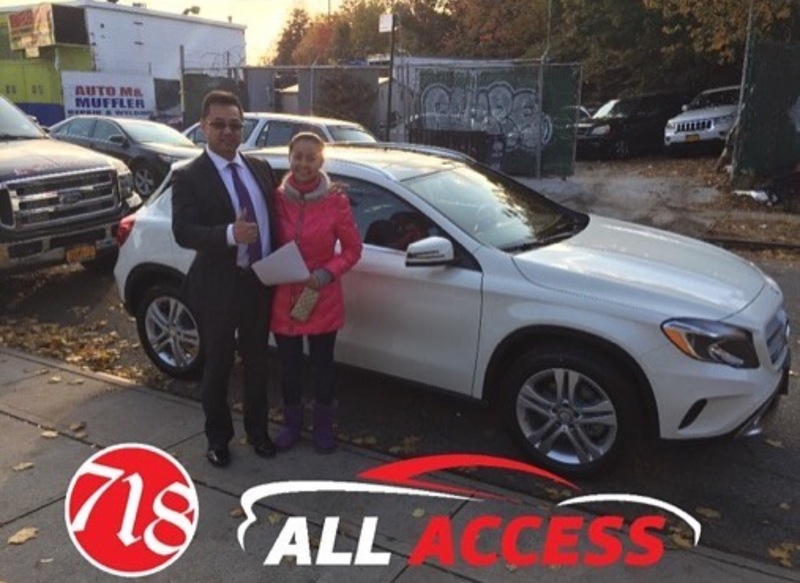 Thank you 718 all access auto leasing for your services it is well appreciated! 1) I hate the process of getting a car. It's overwhelming and most of the jargon goes way over my head. Imagine telling someone what you want, on what budget, and never having to step foot in a dealership. While your car is being retrieved you're getting other important things done in your busy life. 718 all access gives you that ability. 2) The staff shoots you straight and conducts themselves with the utmost professionalism. 3) I'll NEVER get a car via any other option. 718 all access is the only option for anybody coming up in the world right now. I traveled from Virginia just to get my car from these guys. 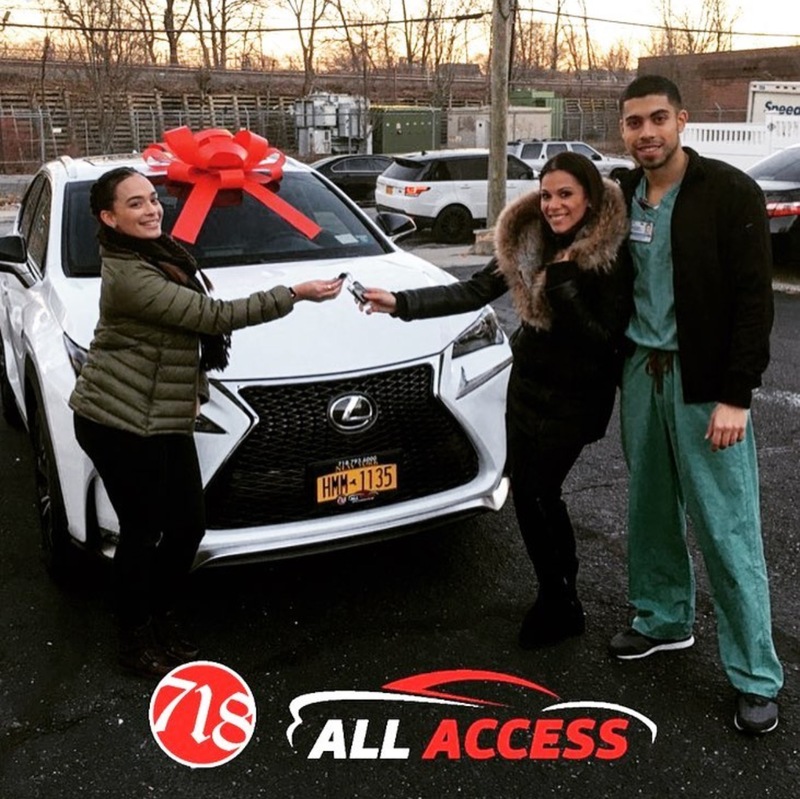 I encourage anyone who has a need for a car to contact 718 all access. The experience was wonderful, there were no hassles, they did all the work and was very professional. The service was great as they stayed open past business hours to ensure I was satisfied with my car. 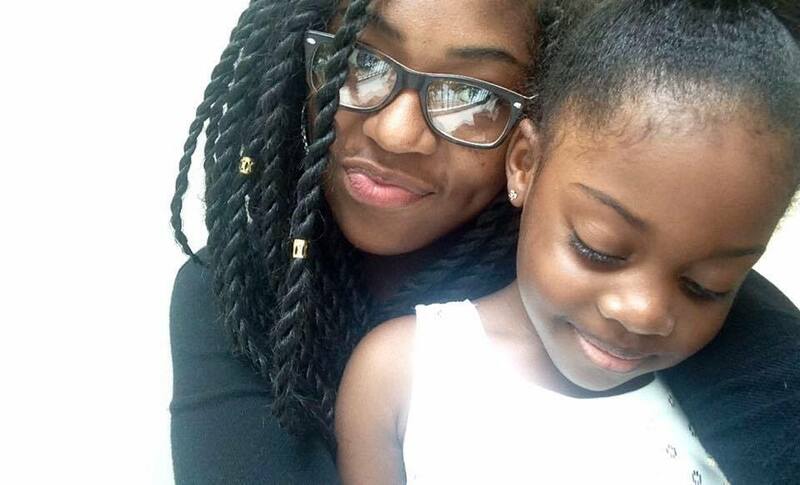 I got exactly what I wanted and they stayed within my budget, there was absolutely no pressure on their part. 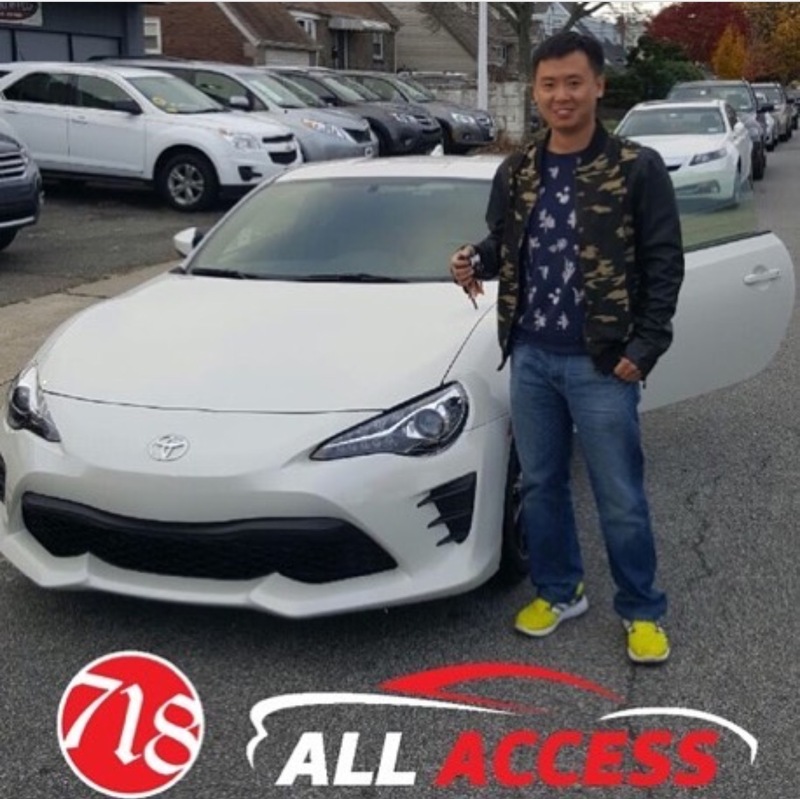 I will continue to use 718 all access for my all my car need and I would recommend them to everyone. They're the best!! What can I say....718 All Access made it possible for me to get the car I wanted. I couldn't be more happier with my experience. They made is super easy and simple. I didn't have to seat in a dealership for hours with going back and forth doing the whole negotiating which I find completely annoying. I love my new vehicle and the best part is they were able to get me the monthly payments I wanted when no one else could! Thank you 718 for making it happen. If you are looking for a car don't look further 718 has got your back ! I could not be any happier with the experience I had with this business. I was promised a new Honda and it was fulfilled in less than a week. I highly recommend visiting them before anything. Truly an amazing experience. Patient, friendly, and best of all straightforward. I told them my budget and they helped me save hundreds monthly!!! First stop shop for a new car. At the dealership, it was literally sign and drive. No hassle, negotiations or annoying misleading sales representatives. I am truly the happiest person in the world right now. 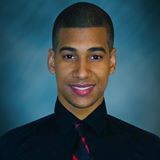 Send us an Email, One of our Customer Service Reps will contact you! !